From marketplaces of Mumbai(India) to all the others, our organization is capable of providing the product to purchasers as per requirement. We understand how important packaging is. Therefore, we make sure our products ate packed properly, have smudge-proof labels and are aesthetic to look to lure in more customers. 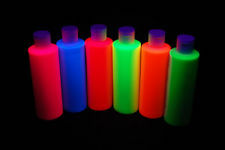 We make available, Solvent Based Fluorescent Paint, which is acclaimed for its superior quality.